The Loop reported that Apple will hold a special media event next Wednesday March 7th at the Yerba Buena Center for the Arts in San Francisco. Apple will most likely announce the iPad 3 during that event. Everyone is expecting a more powerful iPad with a “retina display” and 4G. We’ll know next week. The event will be 9pm local Saudi Arabia time. 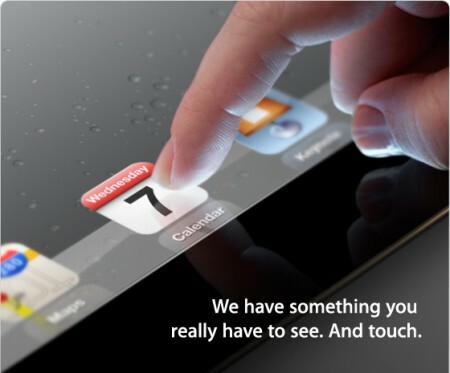 Most anticipated event of this year……<<<< iPad big fan.